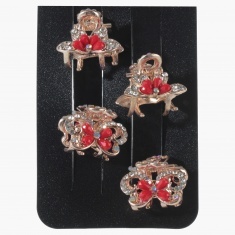 Make ornate your hairdo with this stunning set of clamp clips. It features vibrant stone embellishments that exude an enticing look. Made in a compact size with claw clasps, it offers easy use.